Movie Ramble: Enemy of the State. Modern day life and its technological advances can be really scary at times, especially as the surveillance equipment shown in Tony Scott’s 1998 action thriller Enemy of the State would have no doubt become more sophisticated in the intervening years. A friend recommended this movie to me after we watched Francis Ford Coppola’s psychological thriller The Conversation (1974). 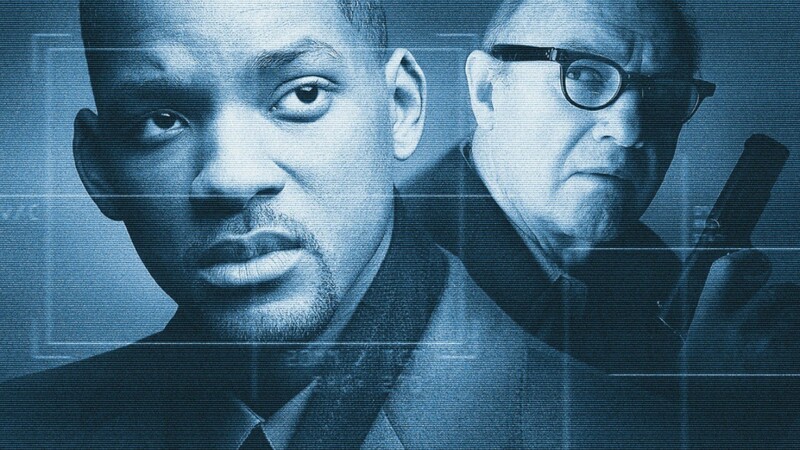 Although Scott’s film does not convey the same ‘brooding sense of paranoia and claustrophobia’, Gene Hackman does appear to reprises and update his role as the isolated surveillance expert Harry Caul now called Edward Lyle/Brill, note the still from Ford Coppola’s movie for Lyle’s NSA file photo. Will Smith and Gene Hackman. Congressman Phil Hamersley (an uncredited Jason Robards) is murdered by a group of National Security Agency operatives because he was threatening to veto a government bill that would grant the organization increased surveillance powers over ordinary citizens, at present NSA's intelligence gathering is limited to foreign communications. What NSA official Thomas Reynolds (Jon Voight) does not know is that a video camera, set up by a wildlife researcher Daniel Zavitz, has captured the complete incident on film. That is until Zavitz tries to get the tape to a radical reporter. Before our government agents can get their hands on the tape and destroy the evidence, Zavitz manages to get the incriminating proof to a lawyer called Robert Dean (Will Smith) who is totally unaware he has the tape. This incident sparks a serious of events that should never be allowed in a civilized society, turning the life of our socially privileged lawyer completely up side down and putting it at risk. 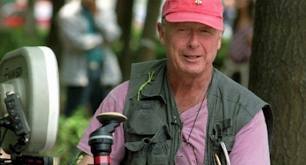 Tony Scott, who sadly committed suicide by jumping off the Vincent Thomas Bridge in the San Pedro district of Los Angeles California on the 19th August 2012, made stylish thrillers films that were generally more popular with the public than they were with the critics. His skill is weaving complex stories with exciting imagery that entertain audiences and Enemy of the State turns out to be no different, great action set pieces and it even has a Johnnie To style shoot out towards the end. Not normally a great admirer of Will Smith but I agree with Kim Newman when he say’s that ‘(Smith’s) slightly self satisfied persona is ideally suited to the role of a man slowly stripped of his life and identity’ As well as the cast members I’ve already mentioned we also get some young upcoming actors including Jack Black, Ian Hart, Loran Dean, and Barry Pepper. I enjoyed this film and at just over two hours it never seems to long or drawn out, if you have not seen it give it a try.